Baby I Love You Charts! ... a singer, songwriter from Sydney Australia. Coming from a musical family, early life involved singing around pianos, and performing in local musicals. Peter has had a passion for music his entire life. Peter’s penchant for performing on the piano started to bloom in his senior years in high school, and he got his first taste of an adrenaline fueled stage performance as a teenager. Passion for performance then led to regular gigs with groups around the greater Sydney area, with trips to Asia, live TV appearances and countless radio interviews. Early musical influences include the Beatles, Billy Joel, Neil Diamond and The Temptations. Peter is inspired by the careers of current Australian artists like Matt Corby and Gotye, helping lead the desire to write and record his first solo album - ‘On The Edge’. 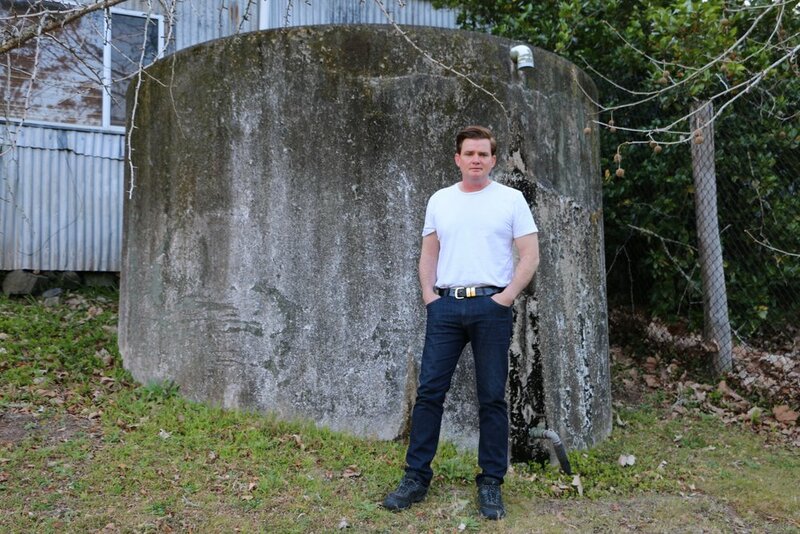 Tracks on ‘On The Edge’ spans musical styles from Peter’s past and present, and include country, soft to moderate rock, pop and a splash of Motown. The album was essentially recorded live in the studio, resulting with the production bursting with energy, and packed with good-vibes. Some post-production was done by Peter at his home studio, before tracks were sent for mixing and mastering, ready for publishing. The first two chart busting releases ‘Cool Ride’ and ‘Baby I Love You’ have had nationwide airplay and have been well supported by the Australian media. Peter has released his 3rd Single ‘The Christmas Tree’ and is donating the proceeds to the Aussie Helpers organisation.It hit the national top ten in iTunes (pop genre) and 22 in all genres! Peter is now on playlists on Australia’s largest country network, KIX with their 58 commercial stations, Coles digital radio which is Australia’s largest digital network with over 5.6 million unique weekly listeners,ABC,Kids as well as community and alternative radio stations and networks Australia wide! The Christmas Tree’ was added for international rotations in the US and Uk Radio and has made the weekly top 20 of all single streams Australia wide on the MPE charts! Pete has now released his 4th single, his 3rd from the On The Edge Album titled ‘Little Lovin’ which is getting airplay across Australia and debuted at number 6 in the pop genre of the Aussie iTunes charts, number 6 on AMRAP and made the top 20 in the weekly AIR charts. He will be touring live in May starting in Sydney with his all original set! 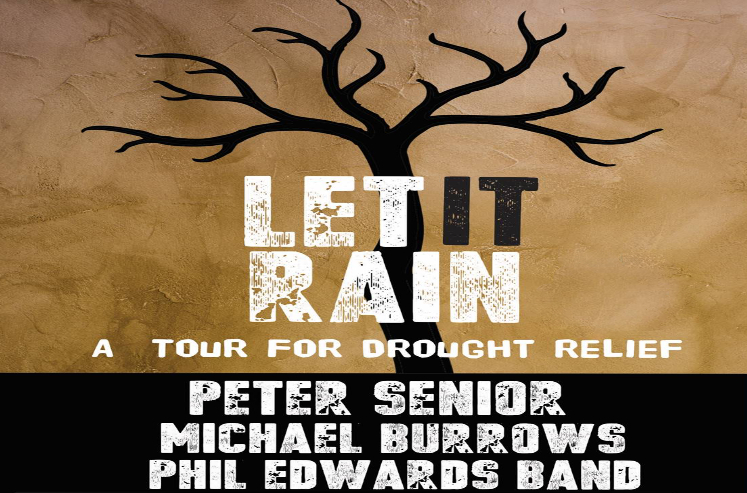 Please click image above for Sydney Let It Rain tour ticket link. Peter Senior Delivers Retro Pop Smash "little Lovin"
Click for the Faulkner review on Little Lovin"
"THE CHRISTMAS TREE A BOLD PARTY BANGER"
Neralie from S/A’s Fleurieu Fm talks with Peter Senior on the success of his new release! A great end to Peter Senior’s ‘Little Lovin’ campaign with not only a #6 charting position on the AMRAP regional charts, not only debuting on the iTunes pop charts at #6 and #15 on the overall charts but now bumping into the top 20 on the AIR charts for Australian Singles Release sitting at a comfortable #13. 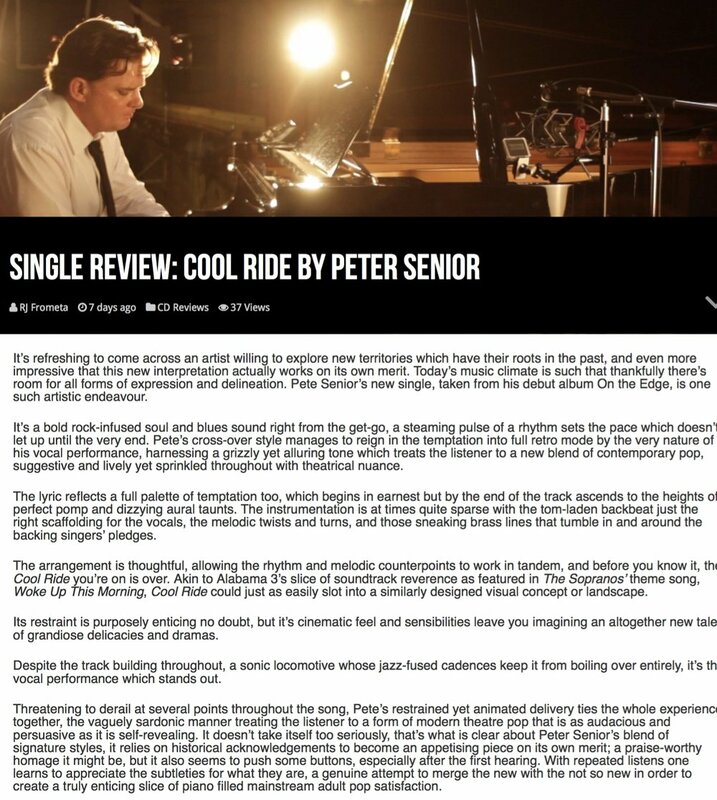 Huge congratulations goes out to Peter for all his hard work and efforts over the past 8 months, winning himself a bunch of additions on community and commercial radio nation wide dating back to his debut ‘Cool Ride’. Cool Ride Hits number 2 on the Australian iTunes charts in the country genre! Peter Senior’s new single Baby I Love you, hits iTunes top ten in pop genre! 26th October 2018. Baby I Love You hits top ten! Top 10 in Australian iTunes charts in the Pop genre.Thanks for all your purchases! This has helped so much to boost radio airplay and grab the attention of some great blog and publication writers! Exciting times indeed! The Christmas Tree hits the Australian iTunes top 10 in the pop genre, 22 in all genre’s!